Here, four spices to use in your holiday cookies. At Oleana, Maura Kilpatrick is known for using Middle Eastern spices in her desserts. “We make our own spice blends like our Syrian spice with nutmeg, pepper, cinnamon and black pepper that we put in a blondie,” she says. “Then there’s dukka, which has coconut, hazelnuts, coriander and cumin. It’s actually pretty dessert-friendly.” In the future, she hopes more people will start taking similar risks with different spices. “Even if it’s something simpler like Aleppo pepper,” she says. These not-too-sweet waffle cookies pair unsweetened cocoa powder with black pepper for a deliciously grown-up treat. 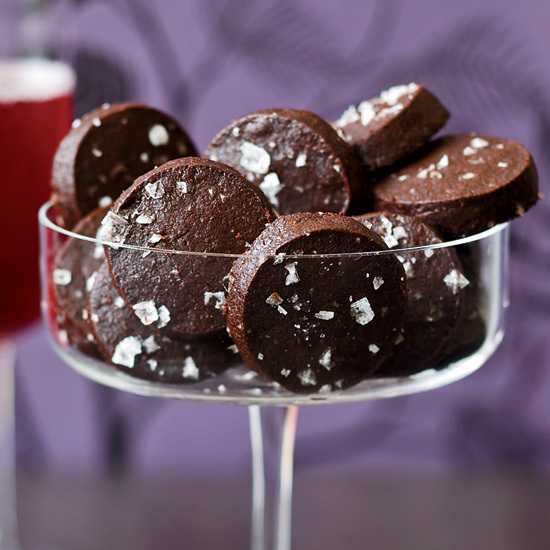 Spicy cayenne pepper gives these tender chocolate cocktail cookies terrific heat. Chef Kevin Sbraga makes his linzer torte-inspired cookies with anise-and-coriander-infused raspberry jam. These spicy, curried shortbread cookies are delicious as an hors d’oeuvre with a glass of Champagne or after dinner with ice cream or sorbet.